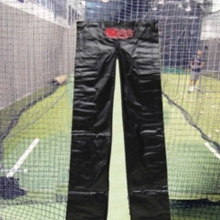 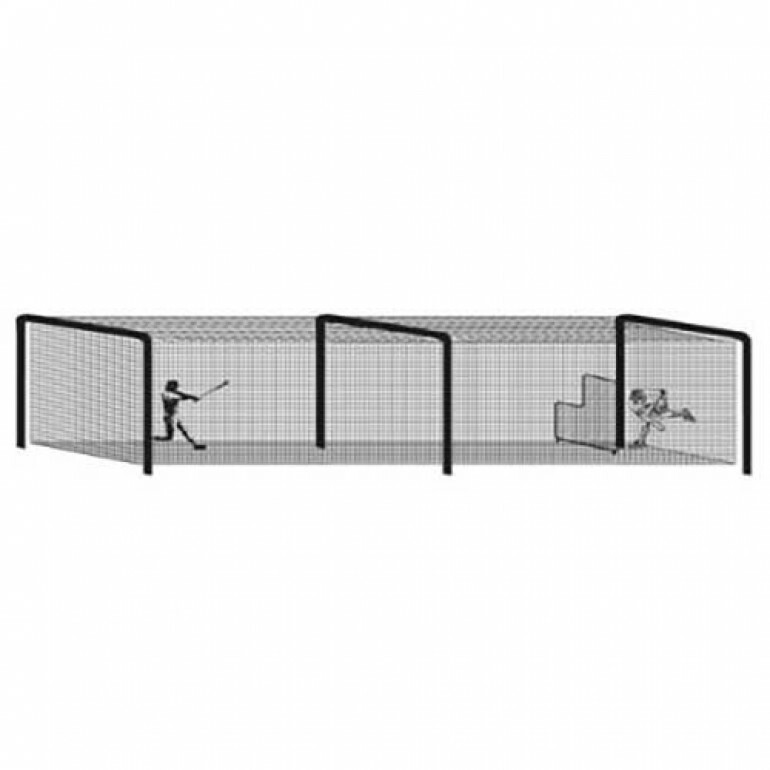 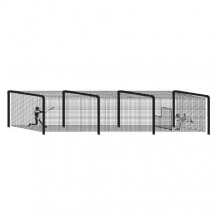 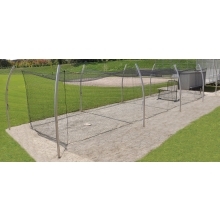 This 3-section batting tunnel frame is used with 55'L batting tunnel nets and can be used with any 12'W or 14'W net. 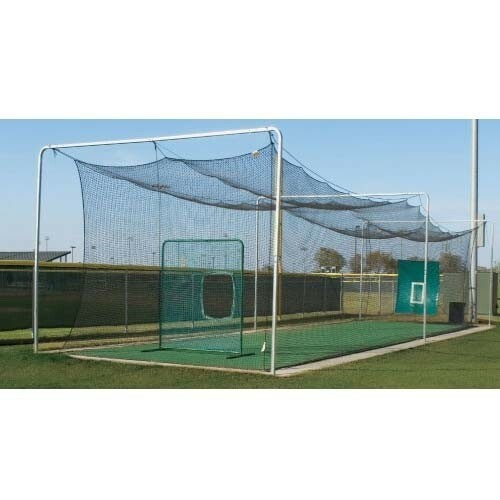 The frame is constructed of 2" round, 13 gauge galvanized steel tubing and has a black powder coated paint finish that will look good for many years. This system includes upright poles, cross members, ground sleeves, cable, clamps, eyebolts, turnbuckle and snap rings. 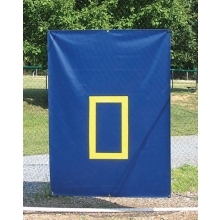 The frame size after installation is 16'W x 12'H. 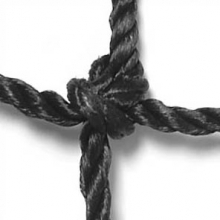 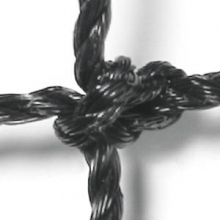 The net will hang 11' from the ground allowing 1' on the ground to contain balls. 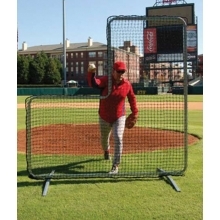 This batting tunnel frame will stand up to heavy use at any level.